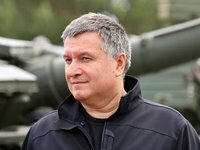 G7 Ambassadors have sent a letter to Interior Minister of Ukraine Arsen Avakov, in which they expressed concern about the threat of the activities of "extremist movements" in Ukraine and the possible disruption of the presidential election, Radio Free Europe/Radio Liberty (RFE/RL) has reported. Correspondent Christopher Miller writes in his article that the RFE/RL obtained copies of two letters prepared by the G7 Ambassadors' Support Group for Ukraine - one sent privately and the other drafted but watered down before being shared publicly. The ambassadors' group comprises envoys from Canada, France, Germany, Italy, Japan, the United Kingdom, and the United States. "They intimidate Ukrainian citizens, attempt to usurp the role of the National Police in safeguarding elections, and damage the Ukrainian government's national and international reputation," Dumont said. The journalist writes in his article that the letter contains a veiled reference to the National Corps Party and the National Guard Squads (Druzhinas) nationalist movement. Director of the Liaison Department of the Interior Ministry Artem Shevchenko confirmed to Radio Liberty that Minister Avakov had received a letter from diplomats. According to him, the position of the head of the Ministry of Internal Affairs regarding extremist political movements in Ukraine "remains firm and indisputable."